Head over to get this Sports Towel for Instant Cooling Relief for just $7.99 (Retail $26.99). EXTRA LONG and COMFORT. 40″ by 12″, decent size for your daily usage. Our microfiber mesh material towels won't dry to cardboards like the PVA ones. It is silky soft at any time, provides you with extra comfort while using as a towel, neckerchief, scarf, or headwear etc. SAFE and MULTIFUNCTIONAL. As it's working on the physical evaporation of moisture, no chemicals are used during the making process. 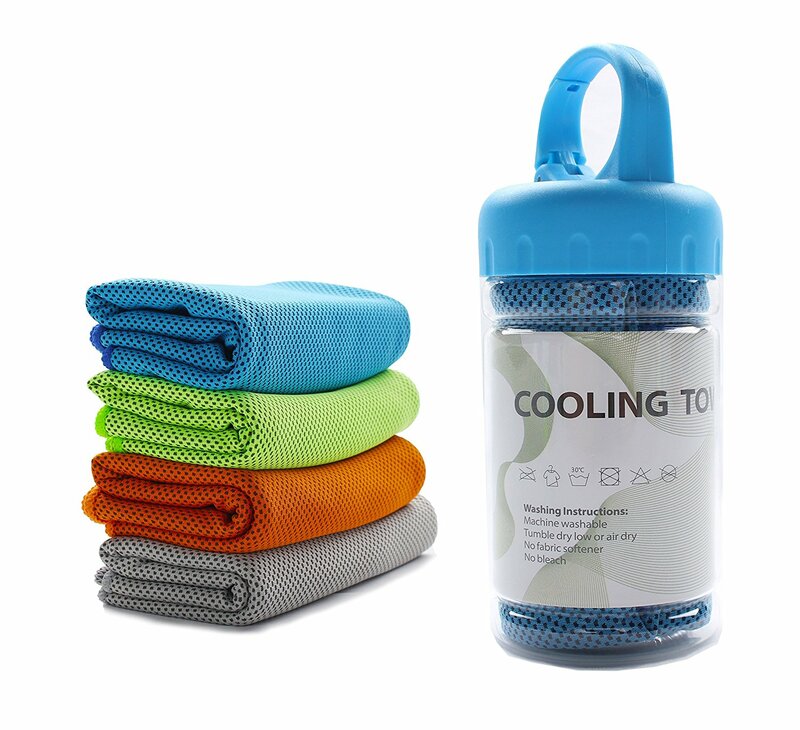 It's perfect for sports fans into golf, swimming, football, workout, gym and fitness, also works for fever or headache therapy, heatstroke prevention, sunscreen protection, cooling while absorbing. Keep yourself cool during hot summer days, workout sessions, outdoor adventures or when someone has a migraine.